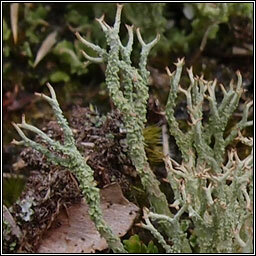 Pale greenish-white branched podetia, the cortex peeling and becoming +/- decorticate, scabrid with peeling squamules. 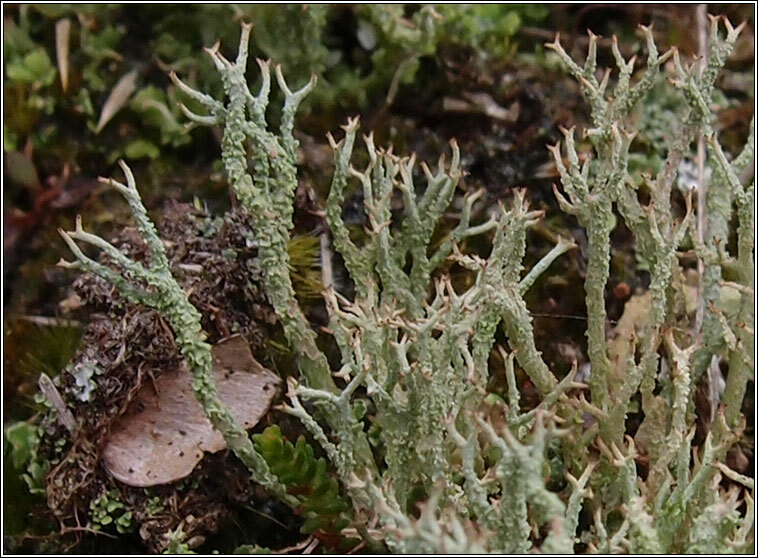 Scattered granular soredia at tips, brown apothecia. Well-drained peat, acidic soils, wall tops and on heavy metal mine spoil. 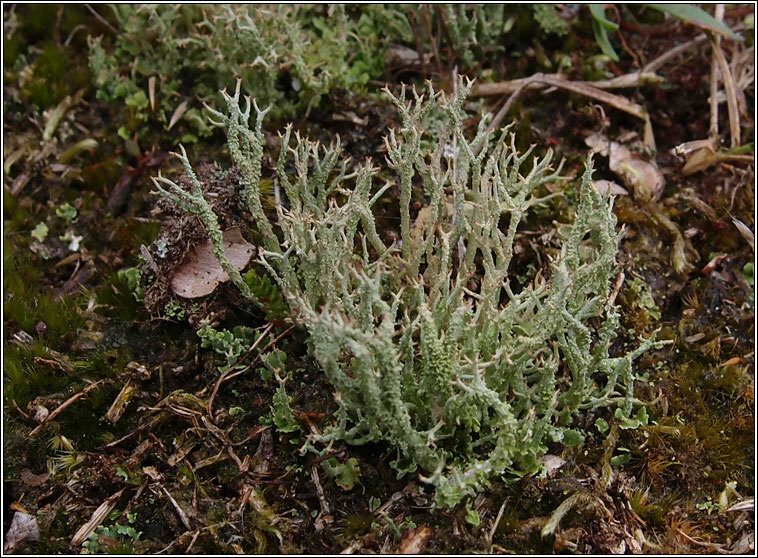 Similar: Cladonia furcata has more robust podetia.